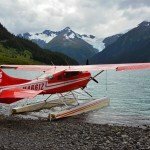 This is a compilation of two other posts: Whale Watching in Juneau and Mendenhall Glacier, along with some additional things to do and see in Alaska’s capital city. 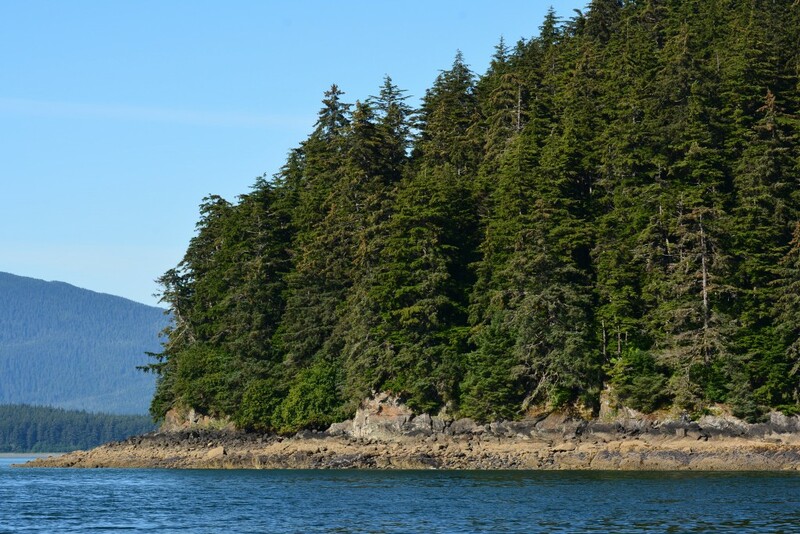 This blog is to help you plan your day in port in Juneau, Alaska! 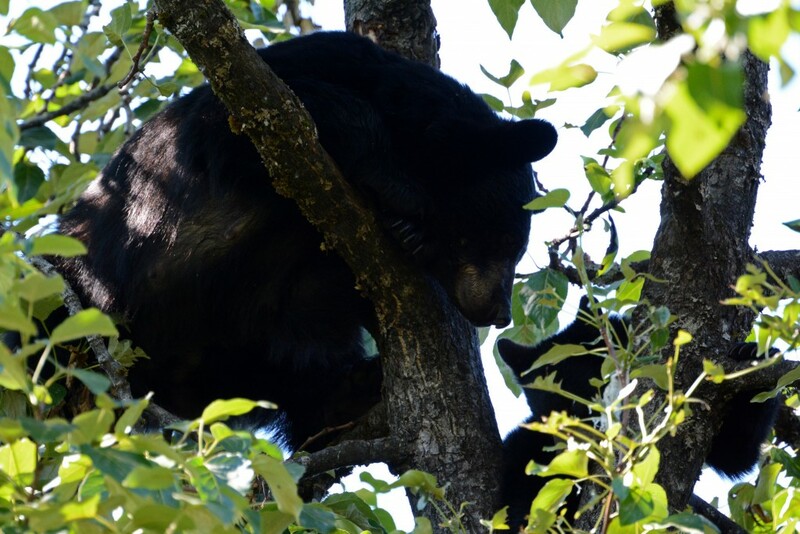 I can only hope that everyone visiting Juneau as a port of call has the luck we had with weather and wildlife! 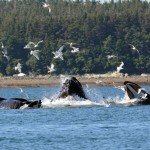 The sun was shining and our whale watching tour was nothing short of EPIC! 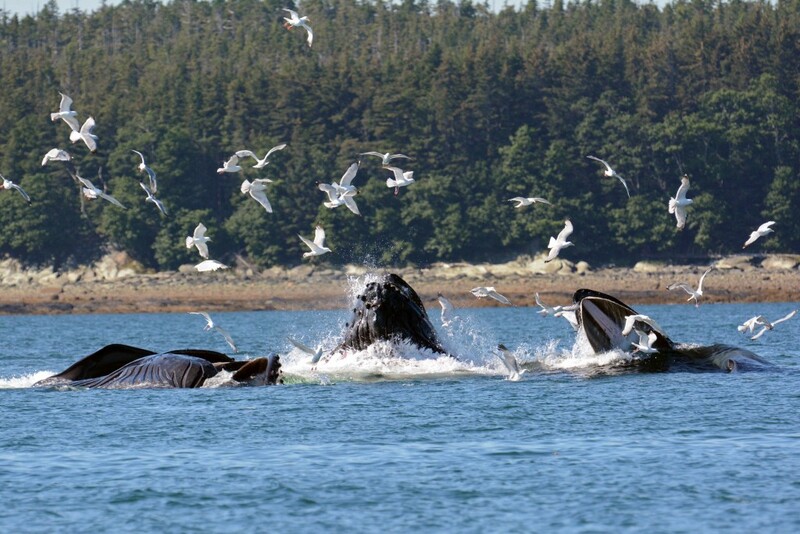 We were fortunate to come upon an active pod of humpback whales during our tour with Harv & Marv’s. 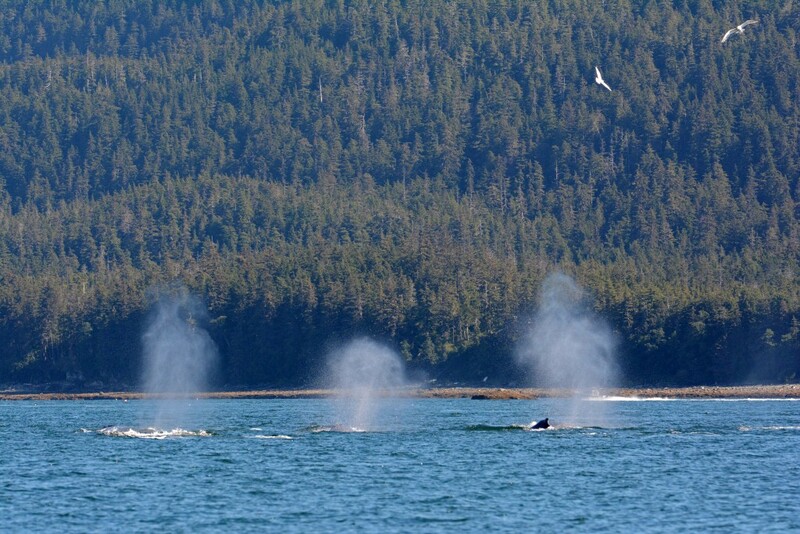 We saw more tail flukes than we could count, saw two adult whales breach, and even got to experience the humpbacks bubble net feeding. 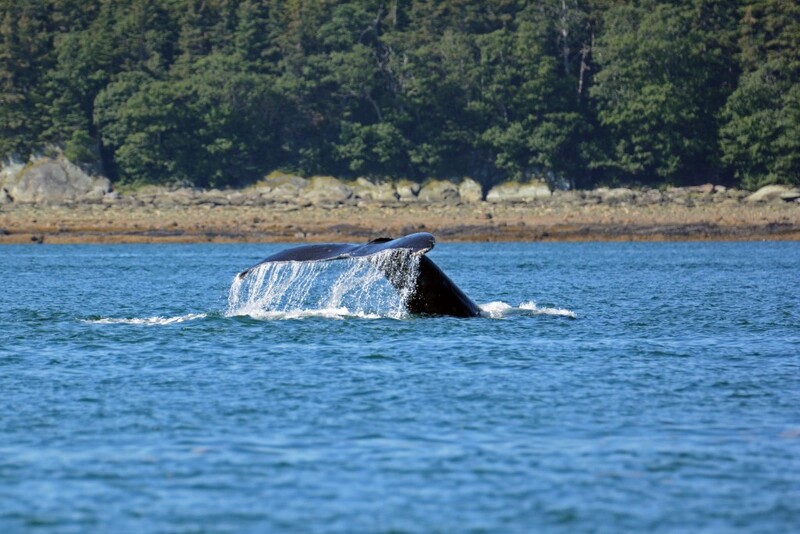 For a more detailed account of our whale watching trip, please check out this blog post. 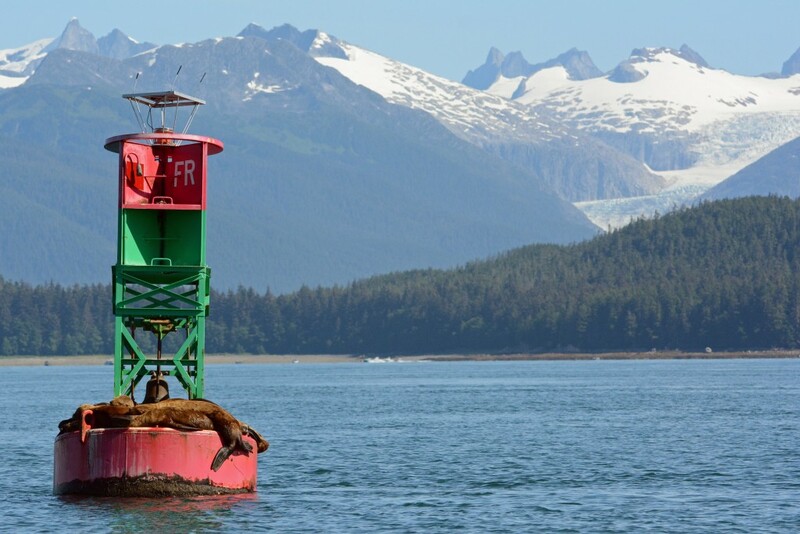 Whales weren’t the only wildlife we saw on our day in Juneau. 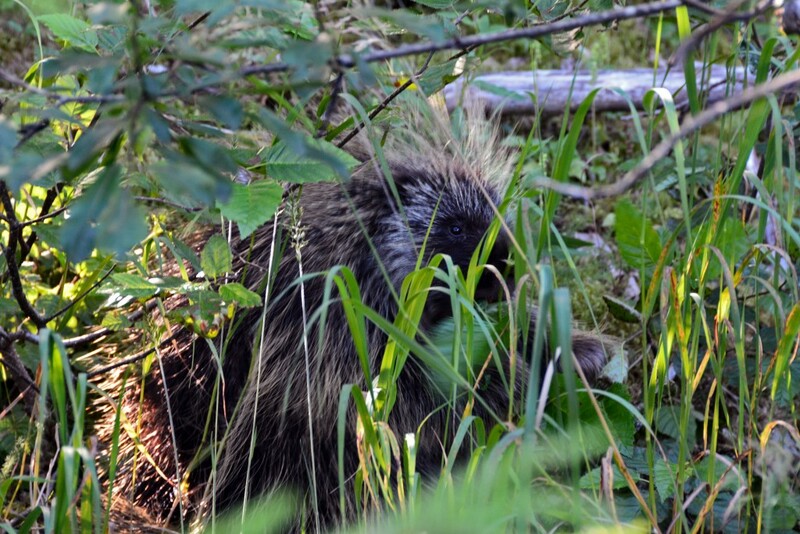 After our whale watching tour, we were dropped off at Mendenhall Glacier Recreation Area where we saw a momma bear and her cub, along with a porcupine, and red salmon. 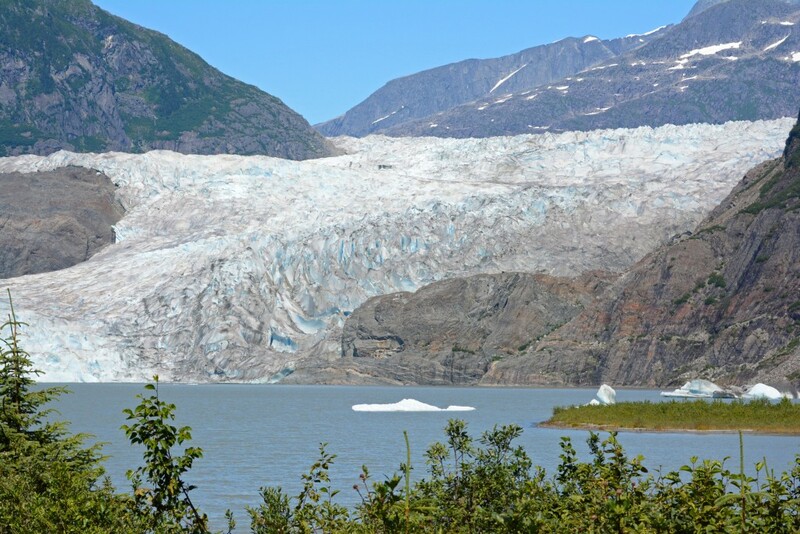 The 12-mile long glacier was a sight to behold! 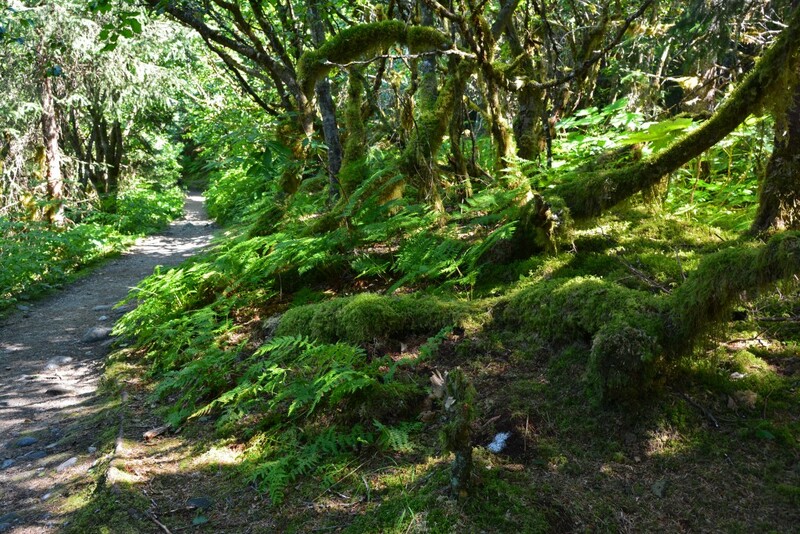 Following a brief hike to the base of Nugget Falls (45-minutes roundtrip), we took a longer hike through the Tungass National Forest on East Glacier Loop. 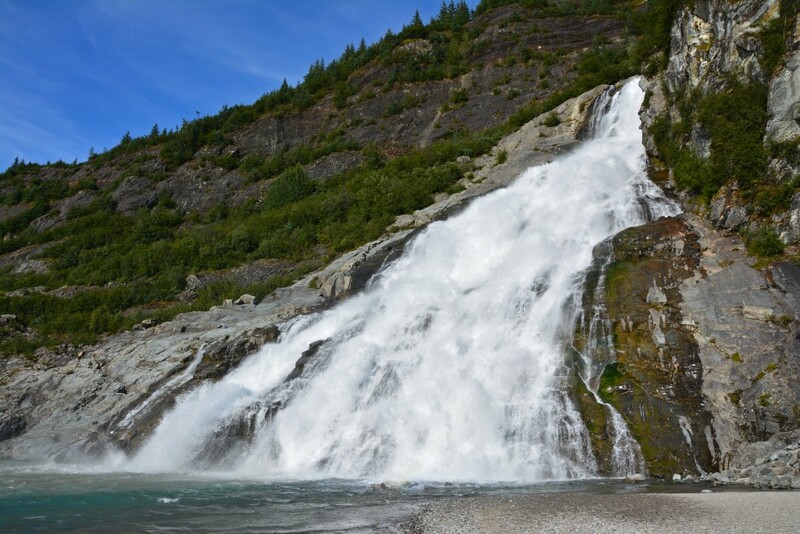 Nugget Falls cascades an impressive 377 feet (115 m) in Lake Mendenhall near the base of the massive glacier. 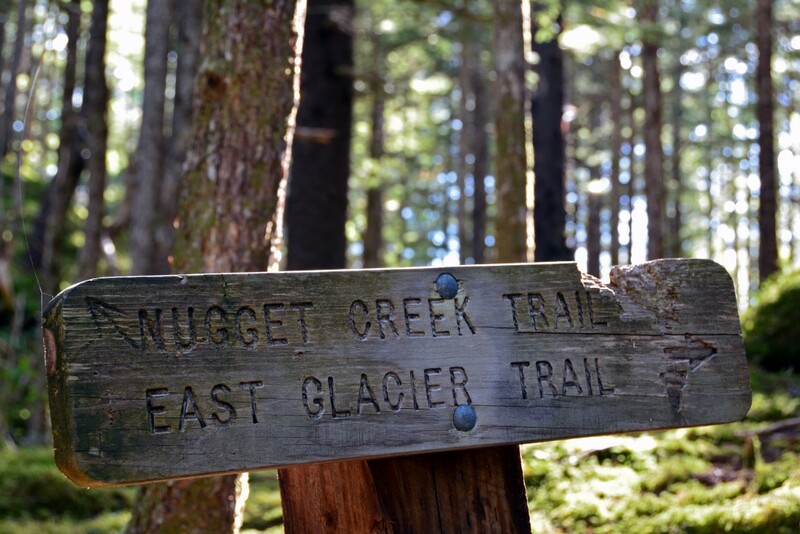 East Glacier Trail offers 3.5 miles of uphill climbs and downhill scrambles, switchbacks, stairs, waterfall off-shoots, mossy forest views, and an occasional scenic overlook! 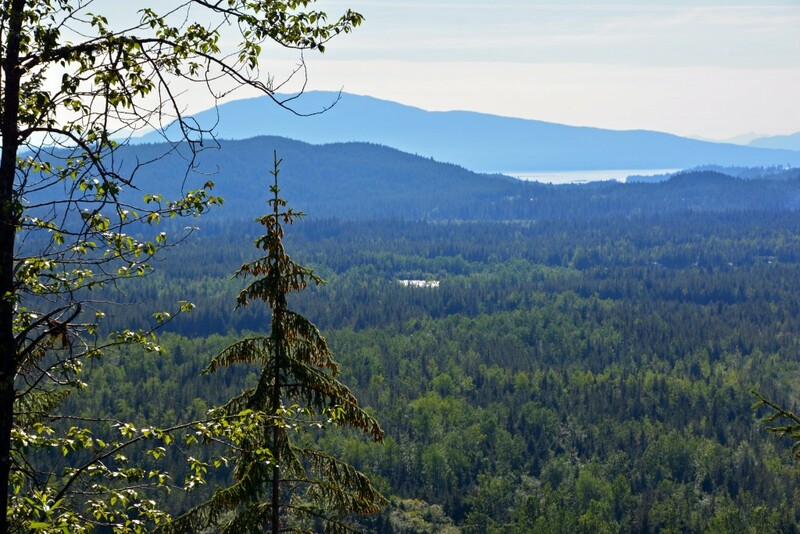 Truly an exhilarating and scenic hike. 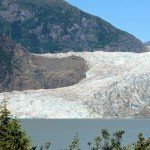 For a more in-depth review of our time spent at Mendenhall Glacier Recreation Area, please check out this blog post. 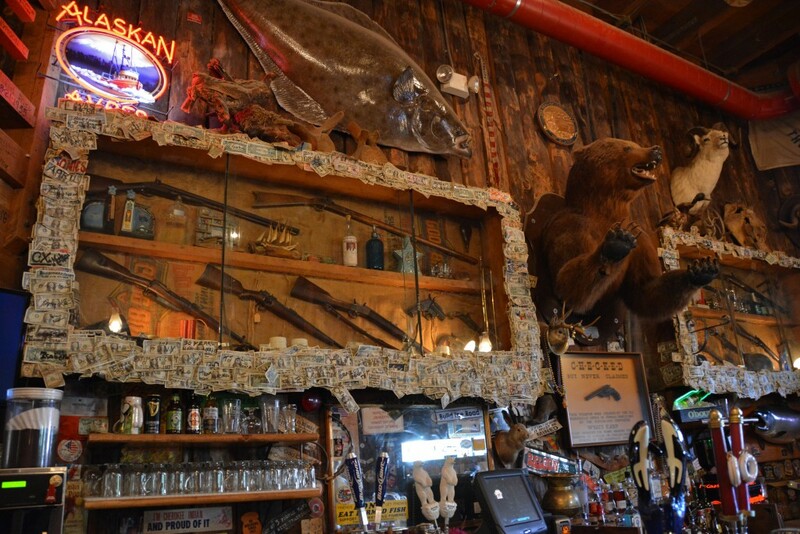 Originating during the peak of Juneau’s mining era, this world famous saloon has provided hospitality and fellowship to weary travelers and local patrons alike. 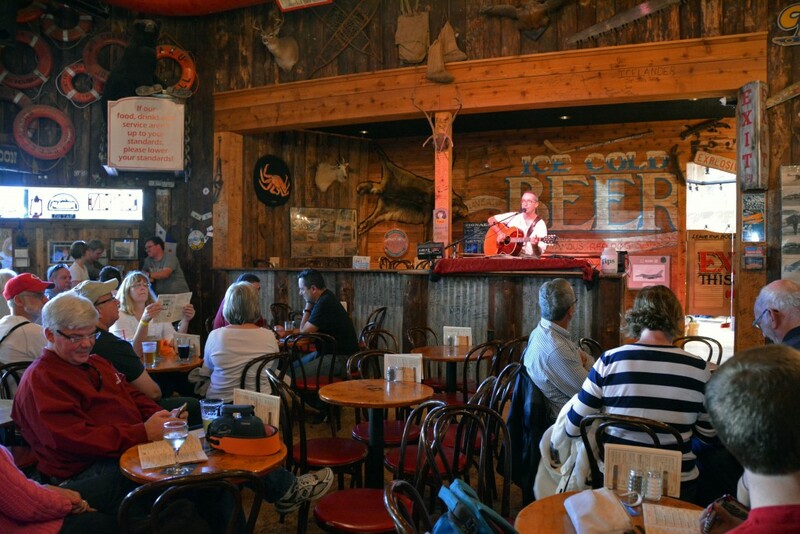 Live music is a regular occurrence at the Red Dog Saloon and since it’s located walking distance from the cruise terminal, you should definitely make it a stop during your day in Juneau! 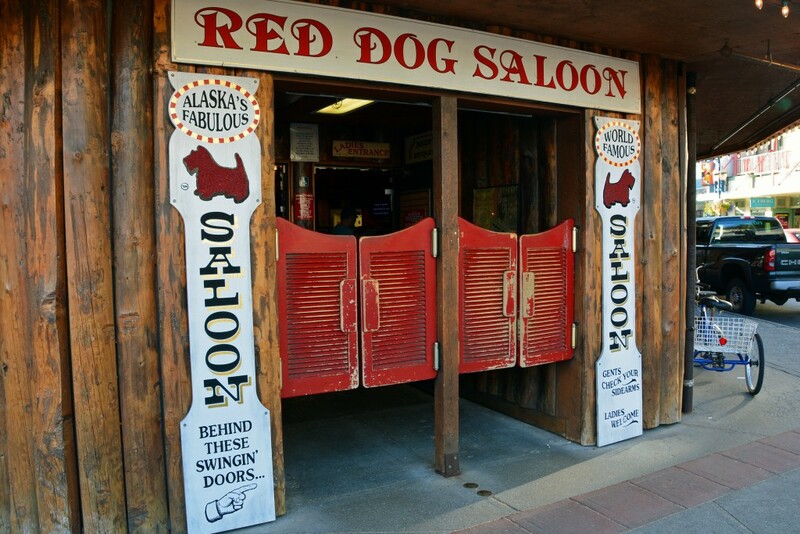 With it’s swingin’ doors and sawdust floors, this is one tourist trap you should give into! 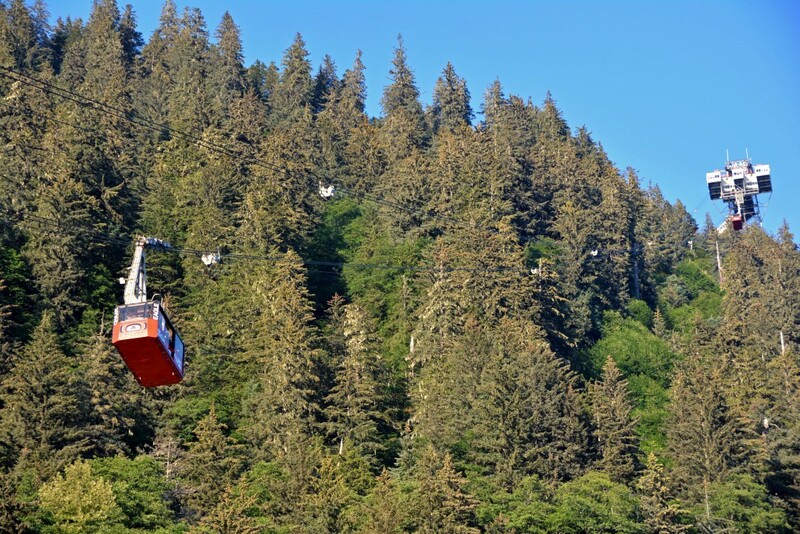 One more activity to consider in Juneau is the Mount Roberts Tramway. Unfortunately we ran out of time and therefore didn’t have the chance to go up in this cable car. 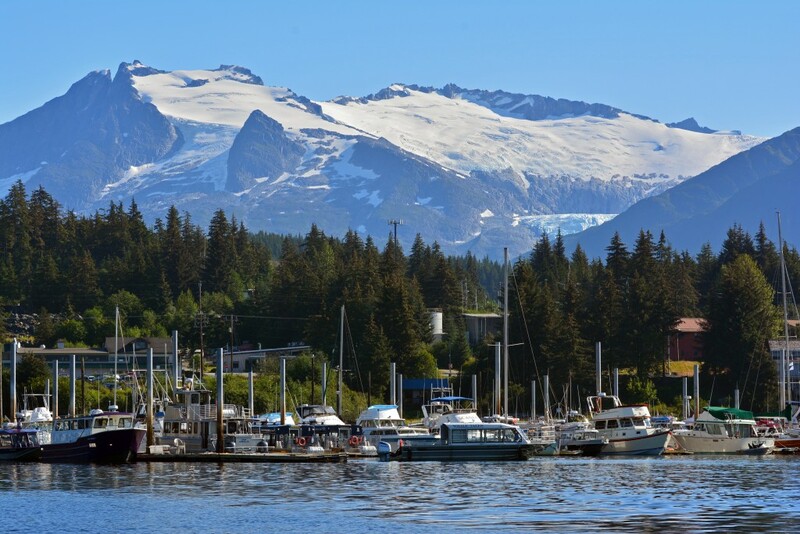 It gets mixed reviews online, but if you’re interested in seeing Juneau from a different point of view, it might be something worth looking into! Again, I can only hope you have the same weather and incredible experiences we had during our day in port. As we sailed away, we smiled knowing this would be a day we won’t soon forget! 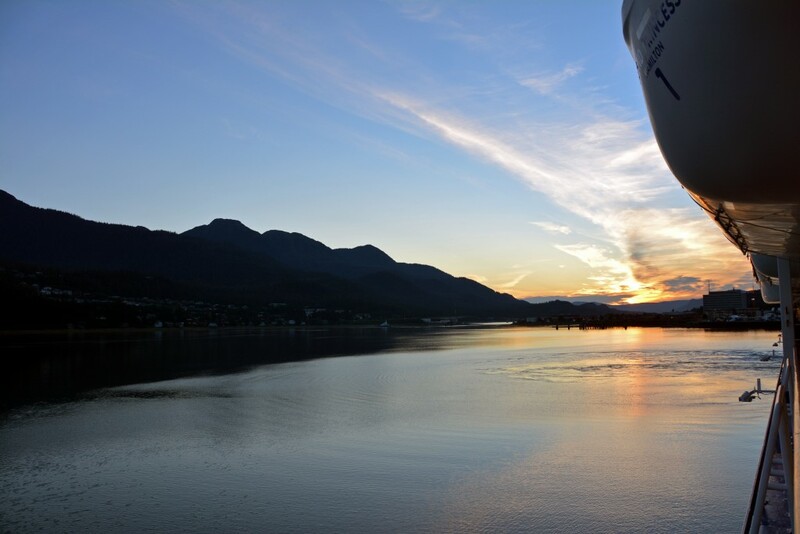 Thanks for sharing your great photos! Thank you for sharing all of these wonderful recommendations!